Tails fighting with head officer and Guardian, Knuckles. . HD Wallpaper and background images in the Miles "Tails" Prower club tagged: tails knuckles. they both look hot @ 40 years! Well Tails does get people angry because he is so smart . 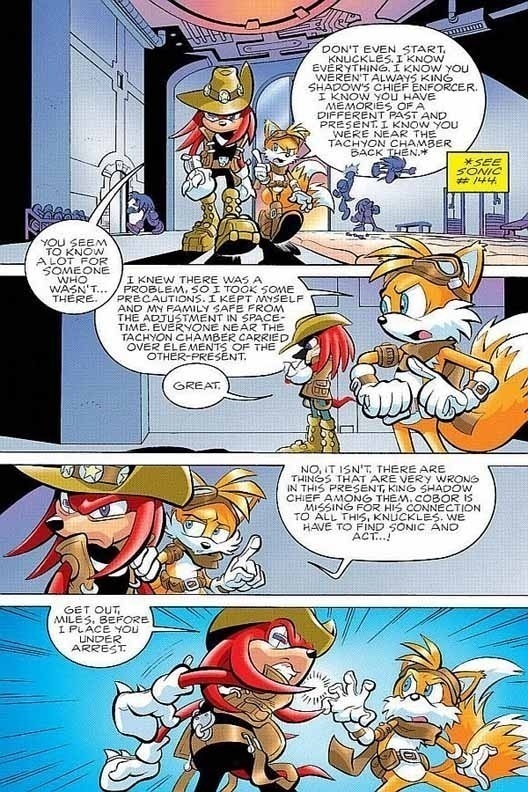 Knuckles is just mad that Tails is RIGHT! !